When you a send a letter in a postal envelope along with the covering letter, necessary paper documents can also be stapled or attached with a paper clip/ Similarly, in an electronic mail along with the email message, you can attach on or more files. 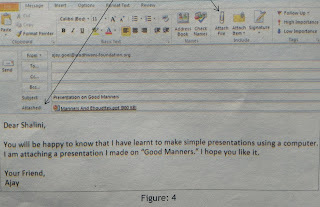 When you send the email, the file goes along with it. 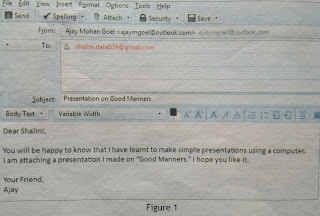 The recipient can read the message and also the attached file. 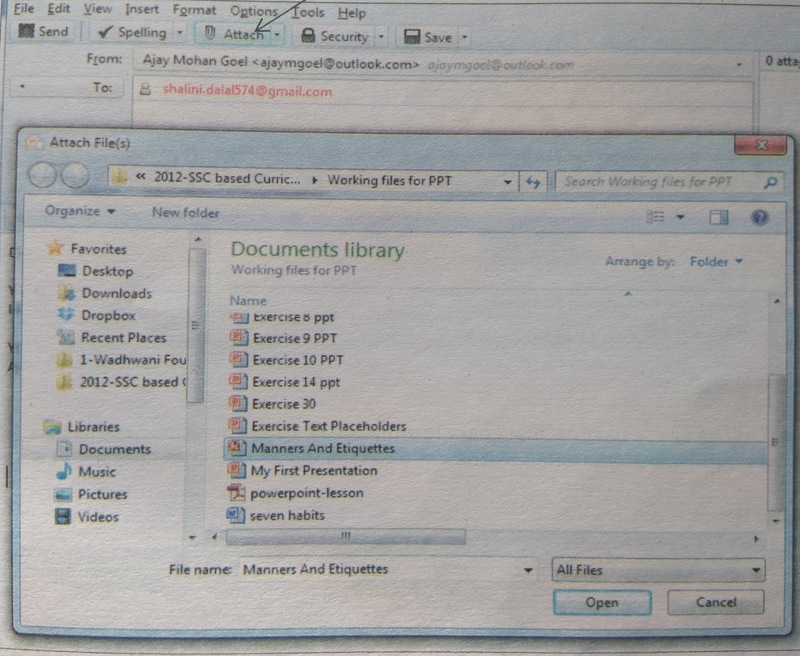 Almost any type of file can be sent via email; videos, music, pictures, presentations and documents etc. However, some restrictions are placed on attachments, such as a file size and permissible file extensions. 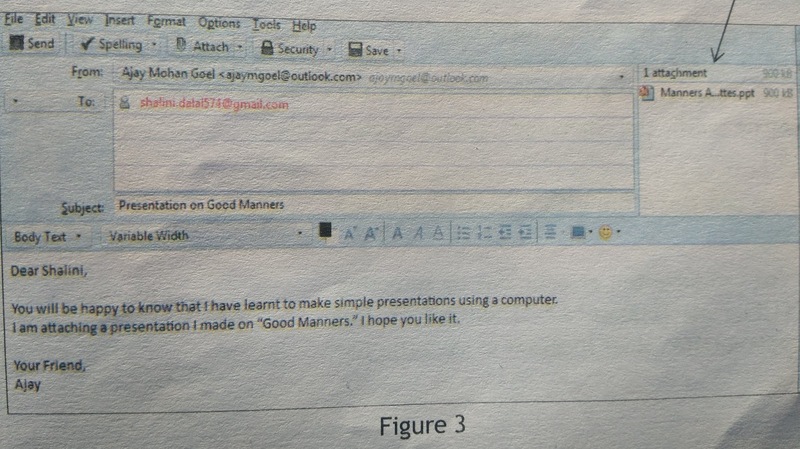 In this you will learn to sent a file stored in your computer to a class mate, using email. 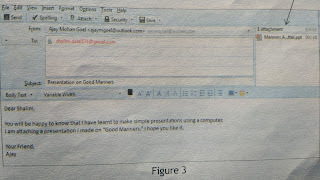 Write the main message in the email, along with a relevant subject. An example as given in Figure 1. Click on the button Attach, as shown in Figure 2. A dialogue box for selecting file appears. Browser the location of the file you want to attach. 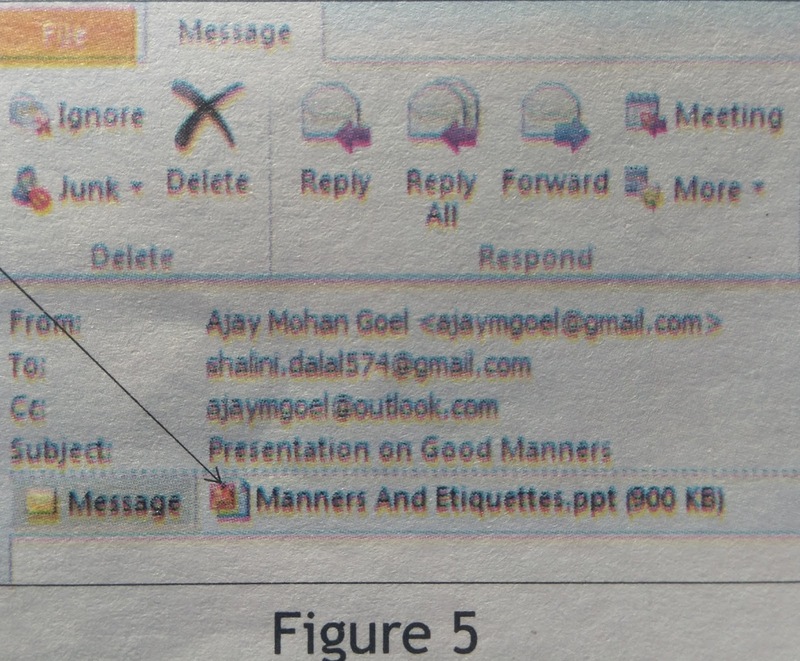 This could be any file on your computer; it need not be the one shown in Figure 2. You may have noticed that the design of Ribbon in Figure 1,2 and 3 is different from what you are familiar with. These figures are from Mozilla Thunderbird software. 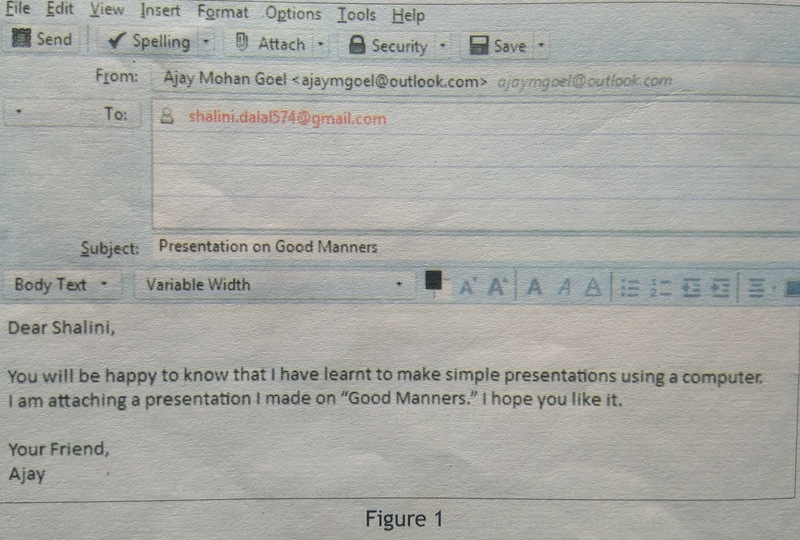 An equivalent of Figure in MS-Outlook in shown in figure 4. 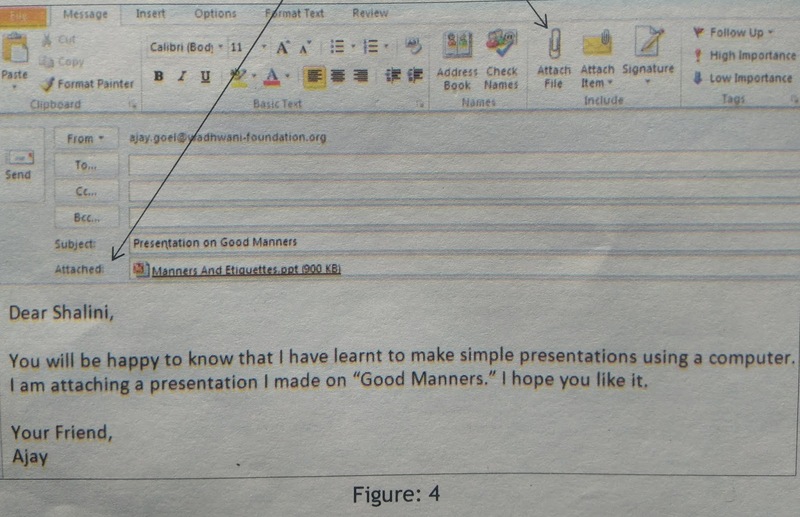 Note: The basic principle on which these two email software operate is the same. The difference is only in the GUI appearance. Once you have used and are familiar with a particular software, you can use any of it's alternatives available in the market. The icon in the inbox (generally the sign of a paperclip) or within the message, tells you that there is an attachment along with the message. (Refer Figure 5). You can Open the attachment by clicking on it. 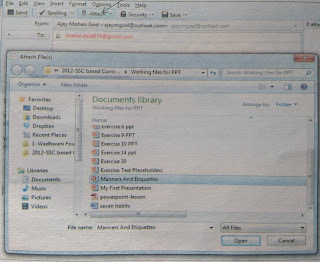 You can save the attachment by selecting File> Save As. Then select the appropriate folder location to save the file.